Chelsea vs Crystal Palace Live Streaming EPL Score: League leaders Chelsea hosts Crystal Palace at Stamford Bridge for the 30th match day of the Premier league. Chelsea are enjoying their spell at the top as they are currently 10 points clear of second placed Tottenham. They have 69 points from 28 games. On the other hand, we have Crystal Palace who are currently 16th on the table with 28 points from 28 games, two points below Leicester City and one point above Swansea City. Chelsea have 10 more games to play including this one in the league and are 10 points clear off the top. They have been the most consistent team in the league with 22 wins from 28 games and have also scored 59 goals with Diego Costa having 17 goals to his name. Check: Hull City vs West Ham. 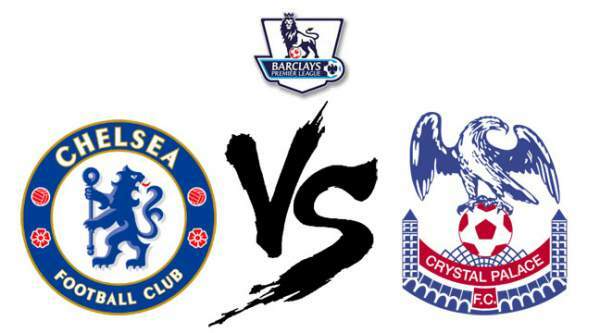 Chelsea have won four out of the last five games played against Crystal Palace. They have also won the most points in the London derbies this season in the league. They have used the fewest players in the league this season, only 21. They have won four games and drew one from their last five games in the league. They played against Stoke City in their previous game of the league and won the game by 1-2. Crystal Palace are currently four points clear off the relegation zone with 28 points from eight wins, four draws and 16 losses. They have scored a total of 36 goals and conceded 46 goals in total. Their away win at Chelsea in August 2015 is their only top tier away win at Stamford Bridge, losing eight and drawing five. Christian Benteke has scored in four different league games against Chelsea. They have won three games and lost two in their last five games in the league. They played against Watford in their previous game of the EPL and won the game by 1-0. Chelsea are the top team in the premier league right now and beating them is very difficult. Next articleJio Summer Surprise Offer 2017: What Is It and How To Get New Reliance Jio Prime Extended Deal?